This is one of my very favourite photos from a wedding reception. Taken at the Tiffin Centre in Barrie, to me, this image is the perfect depiction of love. I remember capturing the couple's first dance and watching the bride laugh as her new husband picked her up and twirled around the dance floor. 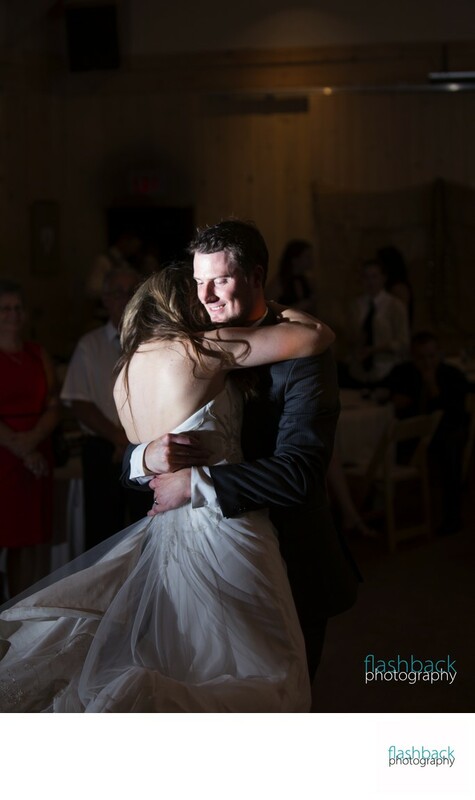 The light in his eyes told the whole tale, and I recall thinking that someday I wanted to find a man who looked at me the way this groom looked at his wife. Following the first dance, everyone gathered around for the cutting of the wedding cake, and then as it was being served I snuck outside with the couple for some night portraits.